Dillon Peters threw six sharp innings and Brian Anderson hit a three run double to propel the Miami Marlins to a 6-0 win Sunday over the Chicago Cubs at Miami. Kyle Schwarber had two hits for the Cubs and Jose Quintana took the pitching loss. The teams split the 4 game series. The Cubs open up a brief two game series Monday afternoon in Cincinnati against the Reds. 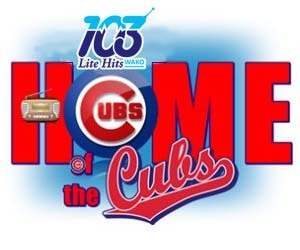 You can hear the action beginning with the pre-game at 2:35 p.m. Central Time on Lite 103 WAKO.